How did you become involved with graffiti? How would you describe your own personal style and how did you develop it? I took a long break off, (20 years) but I would describe it as illustrative, certainly South Queens old school. How is your work translated into community work? One of the first organizations I did work for was for I.C.R.Y (Inner city roundtable of youth) and that group supported and nurtured art coming out of the 5 boroughs of NYC, particularly from kids who were underexposed to the arts. 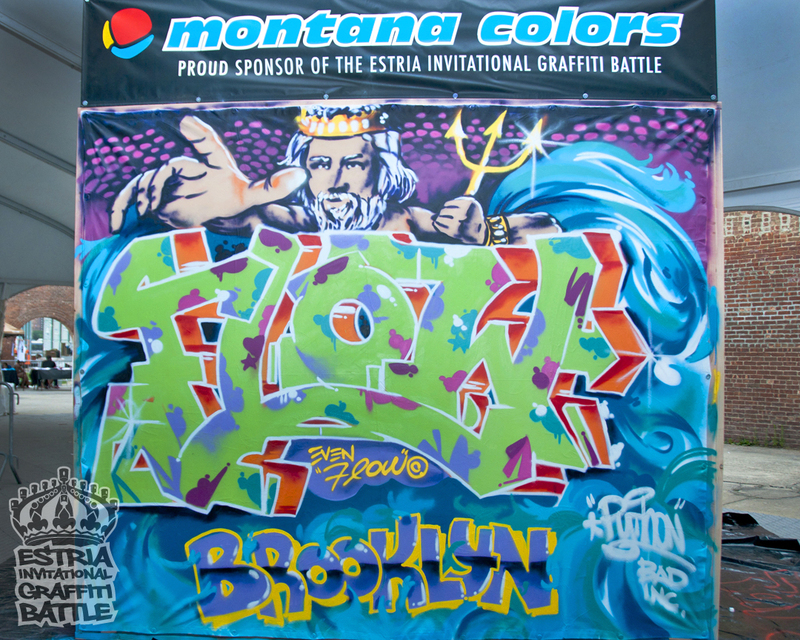 What are your thoughts on the Estria Invitational Graffiti Battle? Who do you see as your greatest competition? I think its fantastic and looking forward to it. Everyone there is a baller but Doves is sick. Any chance to get a few of them tipsy and have them go to Atlantic City for the day? If you could create your own Montana can, what color would it be and what would you call it?